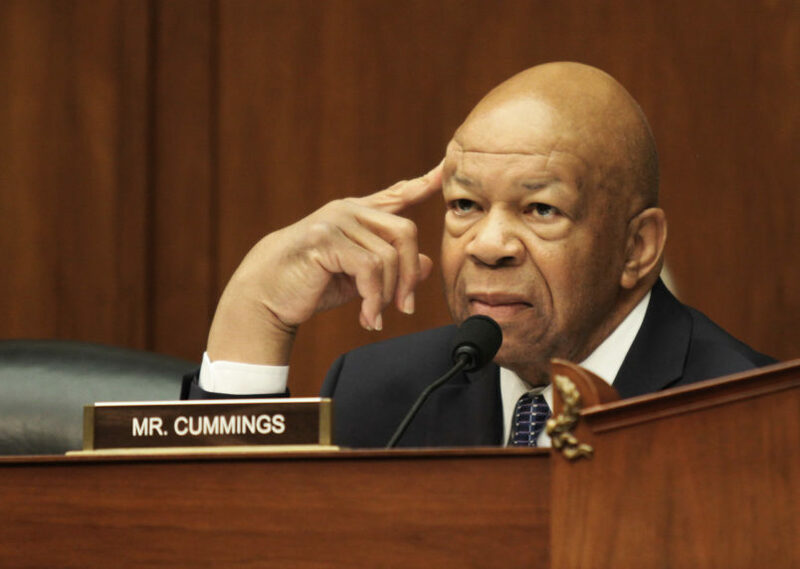 Rep. Elijah Cummings (D-MD), the ranking member of the House Oversight and Government Reform Committee, said on Sunday that it would be “appropriate” to revoke the security clearance of President Donald Trump’s national security advisor Michael Flynn. On ABC’s “This Week” George Stephanopoulos referenced an interview with Trump’s senior policy advisor Stephen Miller earlier on the show. Miller said that he did not “have any news to make” with regard to Flynn’s reported conversations with the Russian ambassador to the United States about sanctions before Trump took office. “To have him go out on national media and say that these were just some casual conversations that had nothing to do with the sanctions, and then for General Flynn to be walking that back, that’s not good enough,” Cummings said. He said that Flynn is supposed to “make sure that these kinds of things don’t happen” as part of his role as national security advisor. On Friday, multiple news outlets reported that Flynn spoke about sanctions in a call before Trump’s inauguration with Russian Ambassador Sergey Kislyak. The Trump team acknowledged that Flynn did make contact with Kislyak before Trump took office, but Pence denied in January that Flynn discussed sanctions with Kislyak during those calls. In an interview on “Meet the Press” earlier Sunday, Miller told NBC News’ Chuck Todd that he couldn’t say whether the President still has confidence in Flynn. “That’s a question that I think you should ask the President, the question you should ask Reince, the chief of staff,” he told Todd. “So the White House did not give you anything to say other than that on General Flynn,” Todd said. “They did not give me anything to say,” Miller replied.